Posted September 17th, 2018 by BUTCH Voices. Interested in helping make BUTCH Voices a huge success? We can always use some extra hands on site if you would like to contribute some volunteer hours during the event. If you would like to volunteer with us and have financial limitations – we are happy to schedule you accordingly. In exchange for volunteering you will get a 4 day conference registration pass for $50! We’re also grateful for the support from folks like you, who do not wish to attend the conference and are simply happy to lend us their service – no matter how you identify. Please fill out the form below to apply for a volunteer position and one of our event managers will be in touch with you! If you would like to suggest and apply for a volunteer role that is not on the list, feel free to check the 'Other' box and add the nature of this role in the comments field. Please provide a mobile number so we can reach you onsite. If you are employed, where are you currently being a superhero? The name of your superhero job. What BUTCH Voices events have you attended in the past? 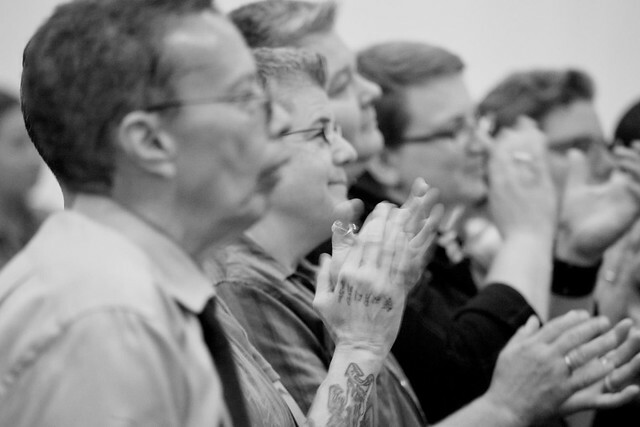 Have you volunteered at a BUTCHVoices Event before? Below please give us as much information possible so that we may schedule you accordingly. Please let us know the extent of your interest in volunteering (select all that apply). Please indicate which days you are available to volunteer. Please indicate which shifts would work best for you. Please let us know about scheduling limitations, special needs, or just use the space to distinguish yourself from the crowd!